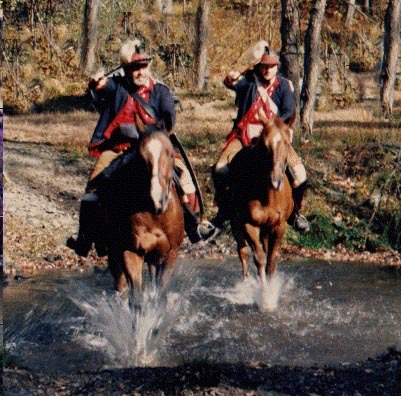 Information about Cavalry in the Revolutionary War can be found by clicking on the image below. The 1st Continental Light Dragoons -- Light Horse Harry Lee's Troop -- uniformed as they would have appeared in Spring 1777. Civil War Battlefield Preservation The Association for the Preservation of Civil War Sites, saving our civil war heritage from the bulldozer and shopping mall. The Cavalry at Gettysburg, 1st Day Buford's Cavalry, their life, and times. Cavalry Page Civil War Mounted history. Camp Chase Gazette Events and articles.